When you play this card, it gets +1 power until the end of the turn. 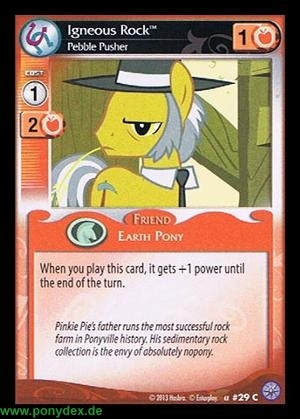 Pinkie Pie's father runs the most successful rock farm in Ponyville history. His sedimentary rock collection is the envy of absolutely nopony.